A FANCY meal, maybe a drink or two and someone to watch the kids, BLVD's new date nights are a dream come true for families. 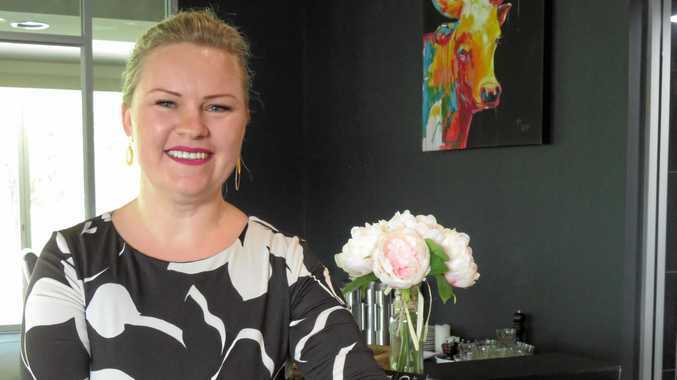 Sirle Adamson and her partner Mark Emr have taken over operations at the fine dining restaurant and plan on shaking up the way the restaurant is run. They've been busy renovating the venue giving it a modern look and are getting set to host celebrity chefs, whiskey tasting and wine tasting nights. The plan to hold date nights has seen instant success. "We've done it three times already, the event sold out every time,” Ms Adamson said. All you have to do is buy your child a kids meal and you can leave them with a qualified child minder to watch your children, while you order and enjoy dinner in peace. The restaurant serves up slow cooked barbecue at it's finest and all the food is prepared in house. There's even live music to help you relax. Ms Adamson said children from the age of 3 to 12 were catered for with a big screen, pop corn and activities. And parents can keep on eye on their little ones through glass walls. Ms Adamson said parents enjoyed being able to go out without the hassle of finding a baby sitter. "I'm a mum myself, I couldn't go anywhere. Ms Adamson who is a small business management consultant has had five award winning restaurants under her belt. She also founded the non-for-profit U Power Leadership program. Ms Adamson was manager at Drift at Milton when the restaurant was destroyed in the 2011 floods. She still remembers how the restaurant floated down the Brisbane River at the time. But thanks to a deal offered by Maha Sinnathamby the owner of Drift was able to start again at Brookwater Golf and Country Club and retain about 70 per cent of the staff. After a couple years of managing the restaurant she stepped back, completed her masters and is now undertaking her PhD. When she realised BLVD was available she took the chance. "It's the only fine dining restaurant in Springfield,” Ms Adamson said. "It's an amazing venue, I thought 'lets do something with it'. "I've had years of experience about what people actually want. People don't just come for a meal, the come to create memories. "We offer very good service, we're very proud of that. I have an amazing team. Meaning community organisations looking for meeting space have a new option. Ms Adamson and Mr Emr took over management of the restaurant in September. BLVD is open for dinner from Monday to Saturday and lunch from Wednesday to Saturday from noon. It is located on the ground floor of the 4.5 star boutique Springfield Lakes Hotel on Springfield Lakes Blvd.